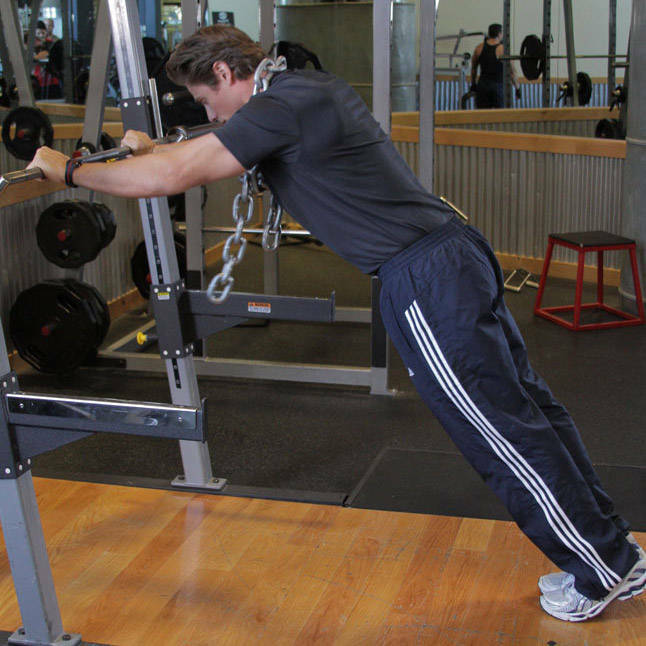 Position a bar in a rack at chest height. Standing, take a shoulder width grip on the bar and step a yard or two back, feet together and arms extended so that you are leaning on the bar. This will be your starting position. 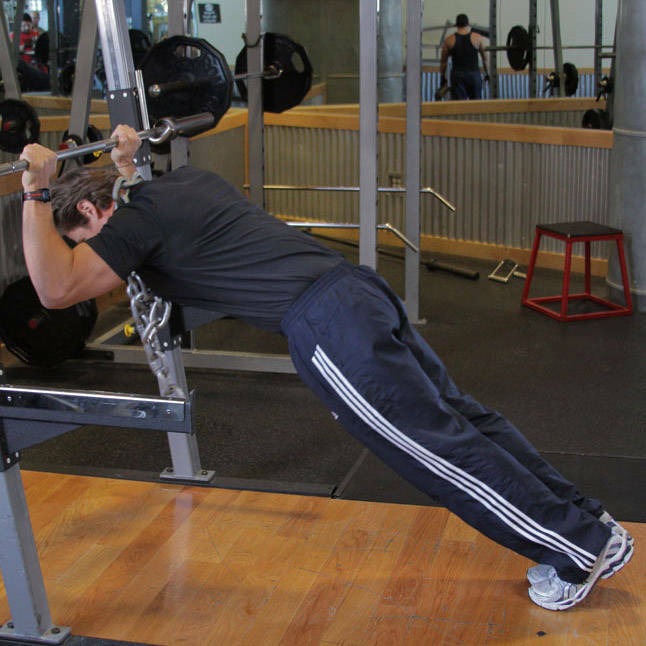 Begin by flexing the elbow, lowering yourself towards the bar. Pause, and then reverse the motion by extending the elbows. Progress from bodyweight by adding chains over your shoulders.